YOLO.. So Live your Life Healthy!!! The Middle Georgia Wellness and Fitness Festival will be the first and only festival of its kind in Middle Georgia. The dates are November 14 -16, 2014 in downtown Macon. (Festivals in the future will have locations in additional counties.) We will provide a weekend of resources to increase community and personal health awareness. Guest Festival Ambassador is Ernestine Shepherd! Come out and support the The Guinness World Record Oldest Female Body Builder. Official Festival Hotel is Macon Marriott City Center. Book your room today!! 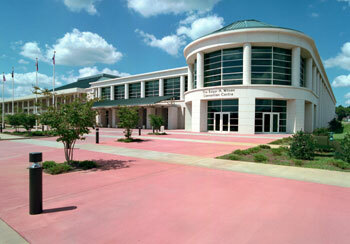 The Edgar H. Wilson Convention Centre is location for Saturday fitness event from 9 am to 12 noon! Asha Ellen (Black Girls Run), Trisha Battle (Macon- Bibb Health Department), Lacey Templeton (Community Health Works), Katie Smoak (Community Health Works), Jamie Spires (The Pink Physique), Ellen Banas (Macon Bibb Parks and Recreations), Karol Kelly (UGA Extension Office), Talibah Muhammad (Black Girls Run), Bonnie Hopkins (Ronald McDonald's House), Sam Kitchens (Macon Bibb Parks and Recreations), Andrea Meyers (Mercer University), Nancy White (Macon- Bibb Health Department), Jada Herring (Medical Center of Central Georgia), Arlene Byrd (Wellcare), Kevin Barrere (Macon Bibb TV), Yervy Billingslea (Channel 41), Jan Baggarly (UGA Extension Office), Amir Shaheen (Macon- Bibb Health Department), Bob Fickling (UPNEXTWITH), Serena Garcia (AARP), Greg Tanner (AARP), Myrtle Habersham (AARP), Heather Myer (Macon - Bibb Health Department), Andrew Silver (Friends of Tattnall Square) and more.